What are the best drugs for scoliosis? Which provide maximum benefit at minimal risk? Are there any pharmaceutical products that are actually safe to use long-term, since my scoliosis is an ongoing issue? All of these are very important questions and unfortunately do not receive adequate attention from doctors. Drug therapies remain the most common and popular form of symptom relief for any type of back or neck pain, regardless of diagnosis. This holds true for scoliosis, as well. Many patients are put on pain medications for the long haul, forcing them to consume ever-larger doses of toxic compounds as their symptoms endure and their bodies build tolerances to substance after substance. It is a vicious cycle that often ends tragically for the patient. What can be done to change this cruel fate? This patient guide explores the best pain management options for scoliosis sufferers. We will provide detailed analysis of the risks and benefits of drug treatment, as well as bring to light some major considerations that many scoliosis sufferers do not even think about when using drugs to mitigate their pain. Is There a Best Drug for Scoliosis? Answered simply, no. Drugs can be effective for managing pain. This is for sure. However, none are universally effective and all have very significant risks to consider. Most substances used in the treatment of back pain are powerful opioid pharmaceuticals, including such favorites as oxycodone, hydrocodone and tramadol, typically mixed with less dangerous substances like acetaminophen, ibuprofen or aspirin. Other usual drugs are anti-inflammatory agents, muscle relaxants or even various anti-depression drugs, such as the SSRI duloxetine. Commonly utilized substances include NSAIDS like celecoxib and naproxen as well as muscle relaxants like cyclobenzaprine, carisoprodol and metaxalone. Drugs will never provide a cure, but will certainly and unequivocally have the potential to enact serious health problem in patients who use them, even when utilized as indicated and as directed. There are many effectual alternatives to drugs for pain management. 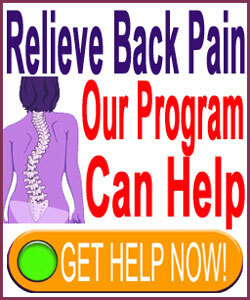 Many of these techniques are detailed right on this very website, with numerous others documented on the other various sites of The Cure Back Pain Network. We like the idea of nonpharmaceutical methods of pain relief, since systemic health effects can be minimized or eliminated. This is extremely important given the fact that scoliosis is a chronic condition that might require symptom management for the long haul. Drugs become such liabilities in these extended care timelines. Some of our recommendations for effective pain management that does not rely on oral or injectable drugs include acupuncture, massage, exercise, chiropractic and the many highly potent practices involved in pain coaching. Some patients find product-based pain management to be effective, although consumers are warned that many devices and consumer goods are unproven and might be little more than overpriced scams. Some of the scoliosis products worth investigating include TENS units, herbal preparations (from a doctor of TCM or herbalist only) and massage chairs. We strongly advise staying clear of “miracle cure” products of any type, as well as the generic back braces sold to hapless patients who invest large sums in these glorified rubber bands or Velcro belts. First, just because drugs are prescribed by a doctor does not make them safe. More people die from prescription drugs than from illicit drugs. Just because a doctor recommends a drug does not make it the best treatment path. Doctors get paid to prescribe drugs and earn huge sums of money simply by writing scripts. Drugs will never provide cures for any type of pain. They are always symptomatic treatment at best and often make matters much worse. 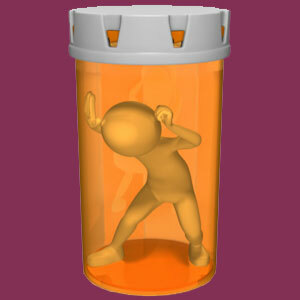 Drugs damage the blood and internal organs. Some of this damage might be irreversible and lead to disability or death. We have seen countless cases of both of these outcomes in the past 15 years of our advocacy work. I discuss the risk of drug therapies and the alternatives to treatment in my helpful book The Pharmaceutical Trap. This book has actually saved lives and is available as part of the Cure Back Pain Forever Program.